Walked to the bus stop. Bus to the train stop. See grafiti train. Take train to bus. Bus to another train. Train to train station. Train to another station. Then shuttle bus to AssisI. All that for about 10€ for 80 km. And I didn't miss a connection! 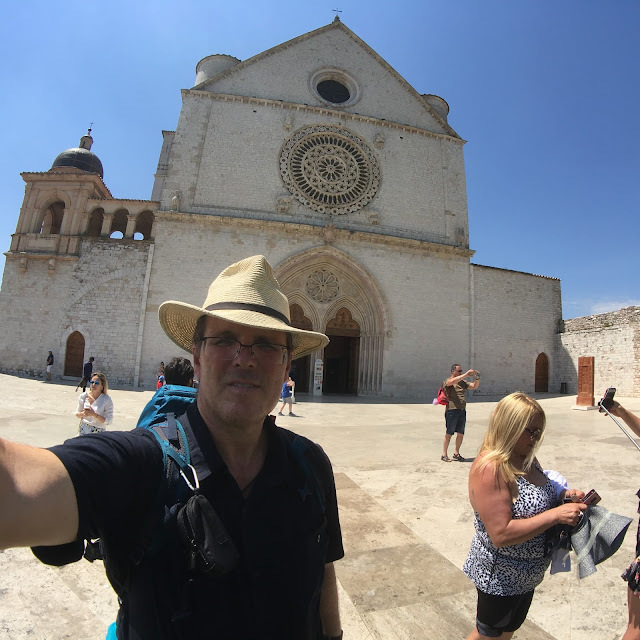 AssisI is an amazing town. Go to the 5pm pilgrims mass then a slice of pizza with Fanta orange soda and some gelato.